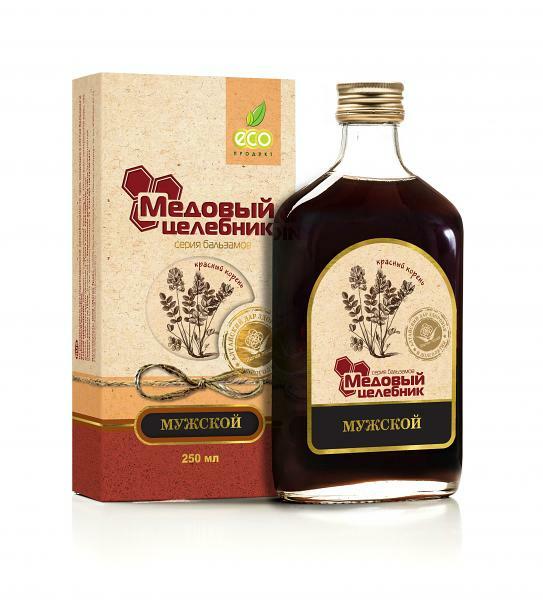 Contains the original combination of medicinal herbs with honey, it has a beneficial effect on men's health. It increases the well-being performance and endurance of the male body under physical or mental stress. Strengthens immunity, increases resistance to harmful environmental factors, and normalizes sexual function. Ingredients: Altai honey, penny root, rhodiola rosea, aira, fruits of mountain ash, bird cherry, hawthorn, dog rose, St. John's wort, mountaineer, yarrow, sheet of badana, pantocrine, sugar syrup. It tastes great and with regular daily usage I'd say works. I mix in with willow tea.